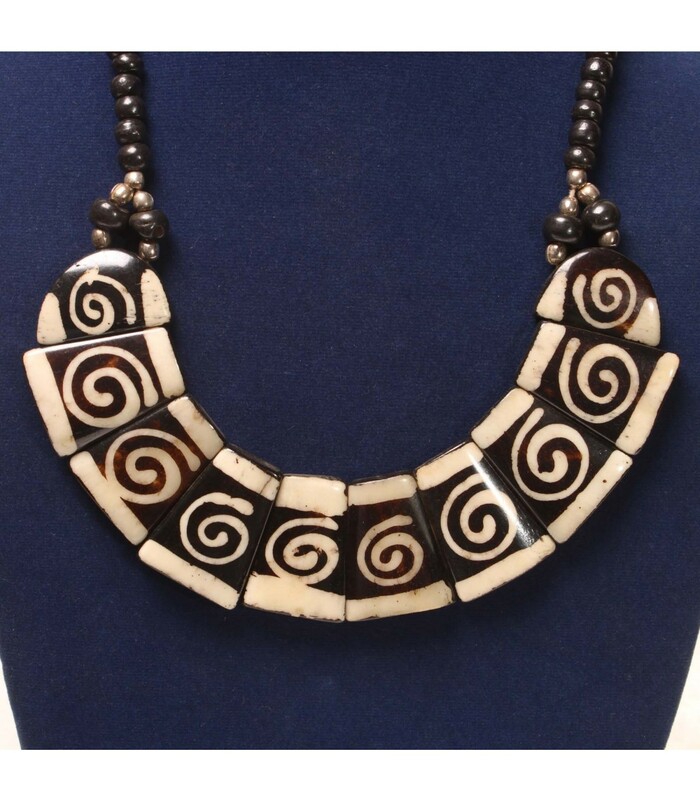 Hand crafted buffalo bone necklace. 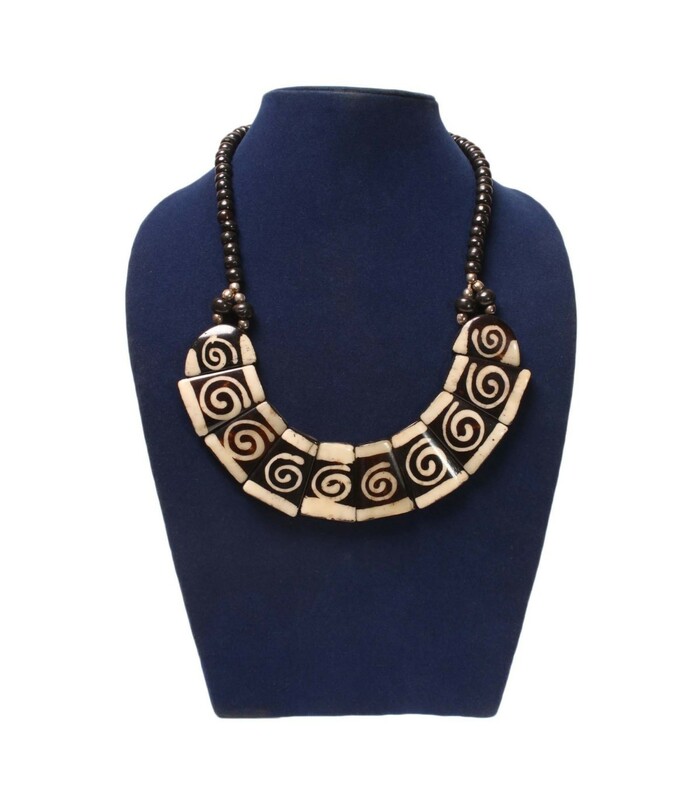 It is statement neck jewellery with spiral design crafted on each rectangular shaped flat bone beads. 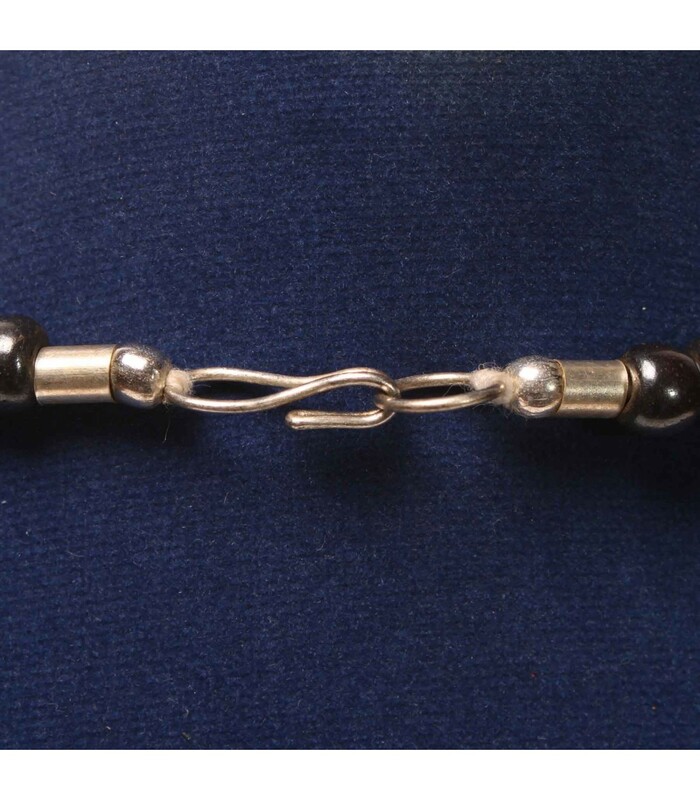 The necklace is hand-made and measures 18” by circumference.